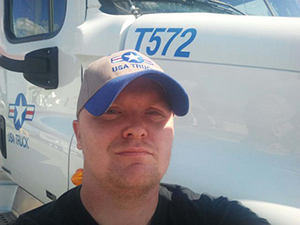 We recently introduced you to Timothy Brown, a USA Truck driver trainer. Last time, we learned about why Timothy got into the truck driving industry and what his CDL training experience was like. 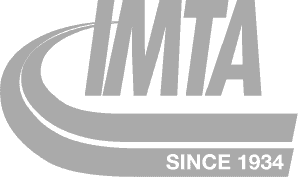 Today, Tim's going to share some valuable information that many of our Driver Solutions grads are itching to know -- what OTR driving with a company trainer is like. 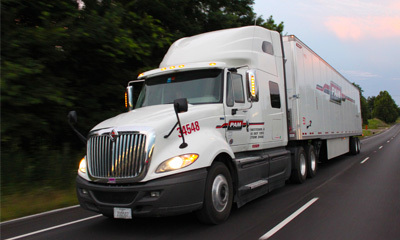 Let's get right down to it and find out what the training experience is like with USA Truck! Q: When you were first starting out, at what point did you feel like you’d reached a turning point and felt more comfortable driving a truck? A: I’d say it all depends on the individual. No one person is like another. Some people are comfortable right out of CDL training. Others, it takes 3-4 months before they’re comfortable, and others are never comfortable. It just depends on the person and what they expect to get versus what they actually get. If they set their standards too high, they’ll never be comfortable because they’ll never be satisfied. They have to take it one day at a time and learn how the industry goes. 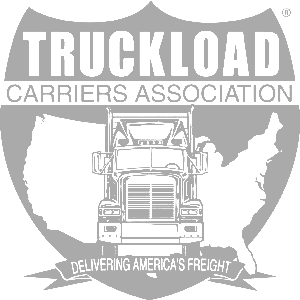 The trucking industry changes every day – it’ll never be the same thing two days in a row. For me, my comfortable point was about 60 days after my OTR training. After I’d been on my own for two months or so, I’d pulled a bunch of my own loads and backed into a bunch of crazy places. I really began getting comfortable with myself behind the wheel. Q: What has it been like being a trainer thus far? A: Well, when I was in the Army I was in charge of training soldiers there, so being a trainer with USA is fulfilling. I feel like I have more of a purpose than just driving a truck. There are advantages of being solo over team, but I wouldn’t trade being a trainer. It can be a little nerve-wracking when you first get a new student, but overall it's a rewarding experience to see your student grow and advance as a driver and sort of come into their own when they get their own truck. Q: What do students need to know about going OTR with their company trainer? A: USA is 4-6 weeks’ worth of training. If students show up to training and are ready to learn, they’ll be good. My biggest philosophy is that I can facilitate the advantages of training, but if you don’t want to learn, I can’t force you to. I guess the biggest advantage they can have is being open to learning and to doing what I explain to them. If something doesn’t make sense, don’t just do it because I’m telling you to; ask! 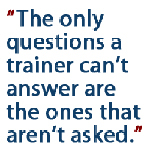 The only questions a trainer can’t answer are the ones that aren’t asked. I guess the biggest advantage a student coming into training can give themselves is being open to learn. Most people think there’s no stupid question. Whether the question is stupid or not, I guarantee someone has asked it before, so that doesn’t make it a stupid question. Now, if you don’t ask it, you’ll never know. If I don’t know the answer, I can find somebody who does and get you an answer, but the only question I can’t answer is the one you don’t ask. Q: What should students bring on the road with their trainer? A: Bring two weeks worth of clothes, because we’ll stop and do laundry if we run out of clean clothes. If you have a sleeping bag, bring it. A lot of trainers, myself included, have extra sheets and blankets and pillows for students, so they don’t have to worry about that if they forget. I’d bring a small sleeping bag or even just a comforter if you have it, though. Also bring your hygiene stuff (soap, shampoo, deoderant, toothbrush, toothpaste, etc). And above all else, bring a pair of boots in addition to a pair of tennis shoes. If you only bring tennis shoes and they get wet or covered in diesel, you’ll be driving in them with nothing else to wear. A lot of people come into training with no money and are absolutely flat broke. My advice on that is if you don’t have any money, let your trainer know right off the bat. That way, the trainer can tell you how much you need to pull on an advance if you NEED to pull an advance. I have had students who were completely broke. I started the same way (flat broke) so I understand. I’ll help my students out if they need food here and there or something. Or if they need some toiletries, or even if they run out of cigarettes or something and have got no money. I’ve got money and I can share. Be sure to check back for the next part of Tim's interview where we discuss home time, how to keep in touch with family, and how to have a great working relationship with your dispatcher! 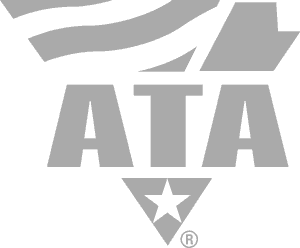 If you're considering a truck driving career, go ahead and complete our no obligation online application. This will allow you to schedule a time to speak with a Driver Agent about your career options.